August 31, 1922 – So . . . we think stuff like this only happens in the movies. But on this day in 1922 a “safeblower,” Vincent “Skimmer” Drucci, pursued by two detectives down Michigan Avenue, jumps over a gap in the Michigan Avenue Bridge as it is opening for a boat to pass. 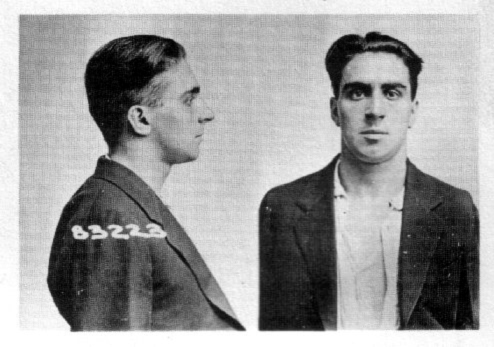 The Chicago Daily Tribune reports, “Bending the gates as if they were paper, Drucci drove his car up the incline and shot it across the four foot gap between the halves of the bridge . . . The detectives wee hot on his heels. Although the gap was wider they duplicated their quarry’s performance, fifty feet above the Chicago River. One block on the south side of the river, Drucci was caught in a traffic jam. He tried to escape on foot, but was seized. He will appear in the Chicago avenue court today.” [Chicago Daily Tribune, September 1, 1922] Drucci died two years later on April 27 when Detective Dan Healy shot him three times in a sequence of events that differed, depending on which version of the story one believed. He was buried in Mt. Carmel Cemetery in a casket that cost $10,000. He left an estate worth a half-million bucks.